Steve built this 2000 national winner Tall Case Clock replicating a 1790's Simon Willard piece. With warm smiles of pure joy Steve and Carol Lash invited Dorothy and me (Arnie Collens) into their home before going out to dinner. Thus resuming our friendship that goes back to Mumford and Camp Tamarack days. 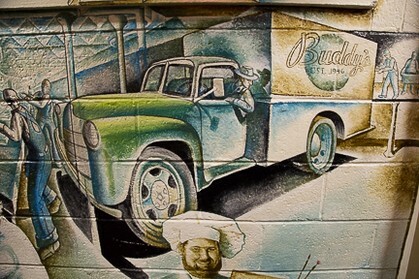 With passion and enthusiasm that’s contagious, Steve and Carol showed us their home. It’s filled with Steve’s handiwork, warm and breathtaking. As an Orthodontist, Steve uses precise thinking with engineering and keen hand-eye coordination skills. He uses those same skills in his avocation, furniture making, and his home is filled with his labors of love. For over 50 plus years he has been reproducing eighteenth and early nineteenth century period furniture. How did this love for woodworking start? Early in life, at the Royal and Mercury movie theaters, Steve Lash and his younger brother Mickey took in every cowboy and Indians movie they could. With a gift of a Dremel #1 scroll saw from his parents, Steve carved figures he saw on the theatre screen: toy soldiers and guns that shot rubber bands. Playing together, the two brothers protected their neighborhood from the evils of the screen. Public records show there may have been suspicious attacks near where they lived, but there was never a reported successful invasion on or between 6- and 7-mile roads, Sorrento to Littlefield, where the boys patrolled in the early 50s. At Schulze elementary school, from the 5thto the 8thgrade shop class, Mr. Cooney’s ability to transfer woodworking skills opened a whole new world for Steve. Learning to use hand tools, especially planes, made shop class and Mr. Cooney favorites for life. Today, it’s evident Steve is among the best anywhere at his craft. He enjoys teaching and sharing knowledge. He’s excited to relate the history and the skill side and detail of building each piece he’s created. And his stories are evidence of his successful ability to act in leadership roles, as a guest speaker and in publishing wonderful documented articles. Steve is co-founder and past president of the Society of American Period Furniture Makers. He lectures frequently on the design and construction of his period pieces, and his work has been featured in numerous journals including Fine Woodworking Magazine, Fine Woodworking’s Design Books Three and Four, Woodwork Magazine, Home Furniture, The Bulletin of the National Association of Watch and Clock Collectors, and American Period Furniture. In 2006, three of Steve’s pieces were selected for exhibition in Contemporary Classics, Selections from the Society of American Period Furniture Makers, at the Telfair Museum of Art, Savannah, Georgia. His reproduction of Benjamin Franklin’s glass armonica[spelled correctly] was played at the 2011 Glass Music Festival that was held at Williamsburg, and at the March, 2012, opening of Traditions of Craftexhibition at the Connecticut Historical Society. 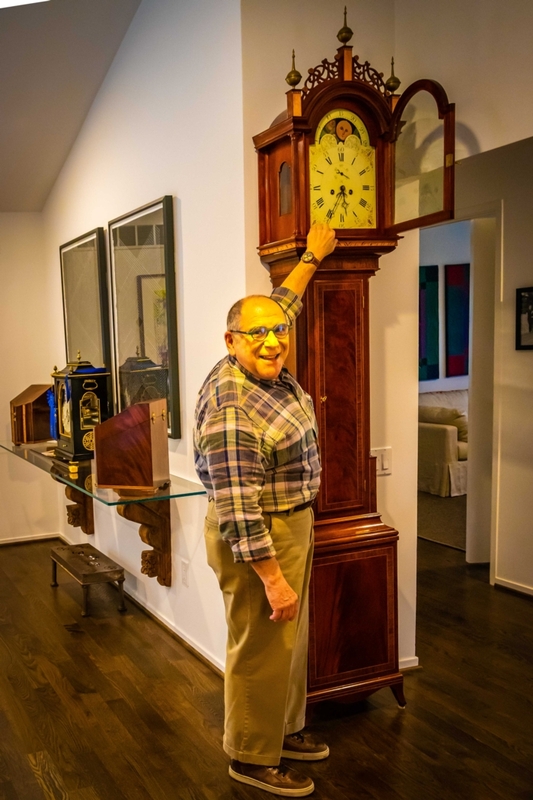 In 2000, Steve won the National Watch and Clock Collector's Craftsmanship Award, and in 2010 he was awarded the SAPFM's Cartouche Award for lifetime achievement. A sparkle comes to his eyes as he relates his recent accomplishments. The Franklin glass armonica, now has a new home. It is watched over by the National Park Service. Steve donated it to be enjoyed by the public and will forever reside at the Benjamin Franklin Museum that is part of Independence Park in Philadelphia. 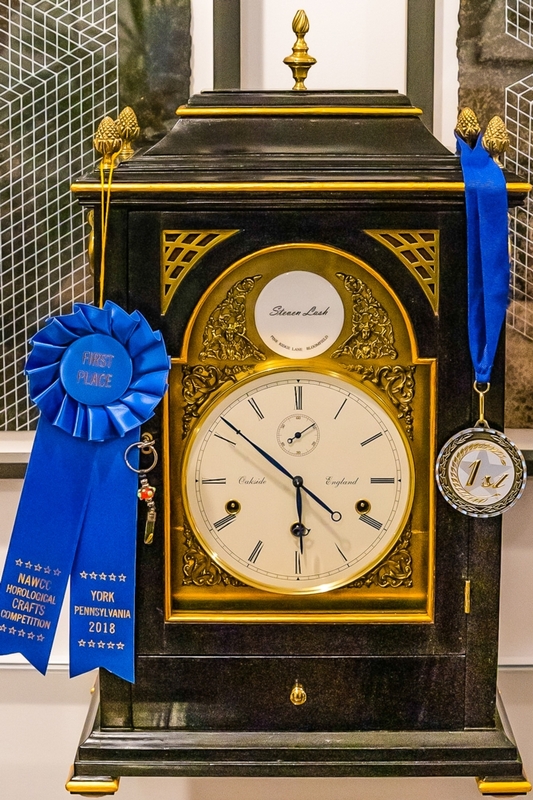 This past summer Steve took the blue ribbon for Wood Case Clocks at The National Association of Watch and Clock Collectors Crafts Competition. 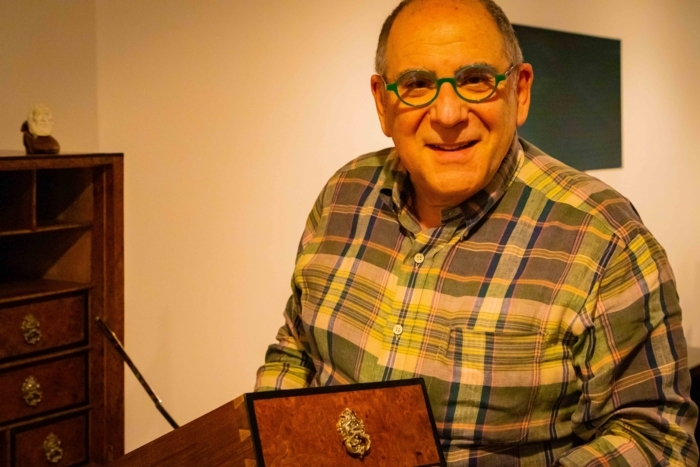 Locally, Steve, remains active as a treasured member and past president of the Associates of the American Wing at the Detroit Institute of Arts. He practices orthodontics with his daughter, Dr. Rebecca Rubin, at Lash Rubin Orthodontics in their West Bloomfield, Michigan office. He is an Adjunct Associate Clinical Professor of Orthodontics at the University of Michigan, where he teaches Craniofacial Orthodontics. At home, Steve and Carol live among a lifetime of effort building the period furniture that beautifies their home. They appreciate the detail and the immense amount of thought and time invested in each treasure. Some took years to build. Getting invited into the room where it happens, the workshop, is both a compliment and treat. Filled with pictures of family, friends, events and his finished pieces, the room reminds Steve to appreciate who he is and to remember those who played a part in how he got where his life has taken him. Today, 65 years later Steve still has the zest for the smells of the shop, the beauty of wood, honing his skills, and the love to create. Steve looks back with pride pointing out on his workshop wall a framed box that holds the toy soldiers he carved as a boy. They are as precious to him as his finest furniture pieces and the life he’s built around his craft with family and friends. By the way, there is a continuing project on his workbench. Still remembering out class motto, it’ll be done in a year or so. Steve Lash furniture can be seen at the Society of American Period Furniture's website. Go to: sapfm.org, Click gallery on the top line, Search and find Steve Lash to enjoy his work. The drawer pulls shown on the drawer Steve is holding are part of a desk he crafted. Does it look like he's having fun? He is!! We have been contacted by Project Talent concerning their new study on aging populations and cognitive change. It's been 58 years since our 11th grade particpation in the original study. The Project Talent reseachers want to add this new phase of our lives to the database for study. CLICK HERE to read more about PROJECT TALENT, and feel free to contact them to participate. Scroll down the page to learn about and change how you receive news from the class by using "Notify Me"
Some Facts about our Website . . .
Scroll down the page, there's more to see. What does it look like Where you Live? Using "Notify Me": When and How do you want to be notified about changes to our Website and Class News? 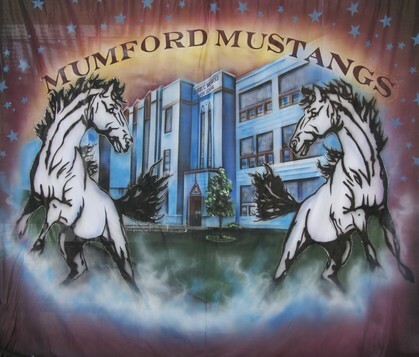 Here's How: Log in to our Mumford61.com website. Look at the very top right corner of the page. Notify Me offers a convenient way of keeping up with what's happening on our site by asking you how, what and from who you wish to receivie class email. On the Notify Me page, you select from a variety of options. Selecting in the "Immediate" column generates email as it is sent to you. You may decide to select the setting to receive email "Once Daily;" to reduce the number of emails you receive on any given day. Also, you may selectively decide to "Never" receive certain classes or types of email. You decide when you want to hear from the class and can select from our class list only those you wish to hear from. The choice is yours. Take the time to look now, fill in each question to best meet your needs. Have a picture? Post in What's New, Not Much - You? What Summer looks like where you live. 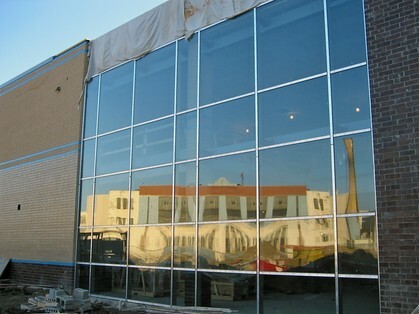 Now Gone - Our Mumford remains a reflection within the New Building. Visit our MUMFORD TODAY Photo Gallery to see images of the demolition on 7/24/2012 [Out with the Old] and some photos of the new building [In with the New]. Note: If you are a class member who has not yet joined the website, find your name in the list on the CLASSMATE PROFILES page in the left grey column, click it and register. Send Your Pictures to our PHOTO SECTION (<-- click to go to photos). To update your PROFILE information, please click on CLASSMATE PROFILES, here or in the gray column to the left. Then, find your name in the list of classmates, and click on your name. During the update, you will have the opportunity to determine how much of your information you want available to the public [anyone who visits the site] and how much you want restricted to class members who are logged in. Some thoughts with regards to . . .
1. PROFILE VISIBILITY: We URGE you to CHECK this box. Leaving this box unchecked will allow ALL persons (members and non-members) to see portions of your profile. Checking this box will secure your data so that ONLY members can view this. 2. CONTACT DETAILS: This box should be UNCHECKED if you do not want your address and phone numbers visible on this site.